Earlier this month we caught wind of a clandestine balearic gathering in the warm surroundings of Amsterdam’s De Ruimte, so we figured we’d ask their opinion on the questions that matter the most: why balearic? How do you keep it balearic? And, of course.. what even is it? Hi there! My name is Welmer and I organize the Balearic Boogie Club parties in Amsterdam. Last Saturday (March 9th) was our second edition and it went great. We had a full house and a lot of dancing. Already looking forward to the next edition. 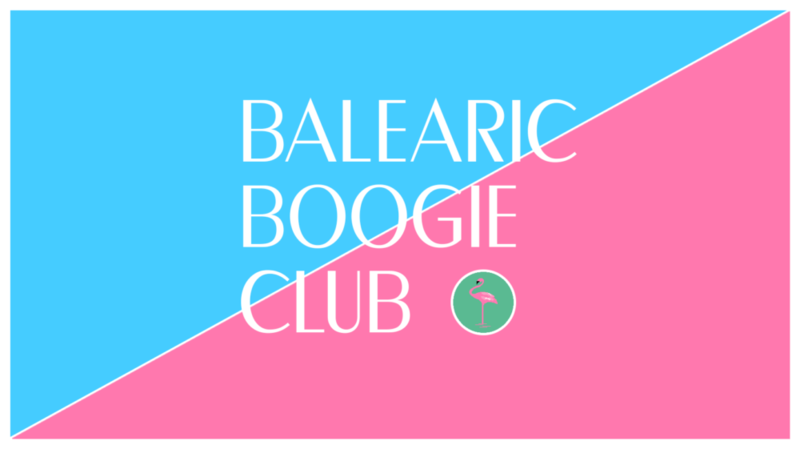 Let’s start off with the name: Balearic Boogie Club. I wanted the name to be specific about both the music and the openness towards people. Balearic for me is sunny, dreamy, happy and joyful. Boogie is just freaking good basslines and moving your hips, and the Club is the part where we all come together and have a good time. The reason I started Balearic Boogie Club is that I wanted to throw a party in the real sense of the word. For me something is ‘a party’ when you have fun, dance, laugh, go crazy, kiss, relax and, most importantly, where you can be yourself. That means that people should threat each other equally. So at Balearic Boogie Club the music, the people playing it and people dancing to it are equally important. That’s why we host open turntables at the beginning of every event, where playing with vinyl is the only restriction until 11pm. Everybody can sign in (first come, first served) and play records! This way everybody is involved in what kind of music is played. After the open turntables there’s a clubnight. I invite DJs with who I have a connection both musically and personally. Me and the invited artists play b2b until the end, no timetable, no planning. Everyone plays a track when it feels right. Having fun and surprising each other with nice records is the only thing that matters. I hope to see you all at one of our parties and thanks for the opportunity for this interview! Keep up to date with the Dutch capital’s primary balearic get-together over at their socials. You can also do the same with us!